Swingy Xmas – new workshop online! Here is a small Christmas project for all of you who are already waiting (too long :)) for Workshop 5. 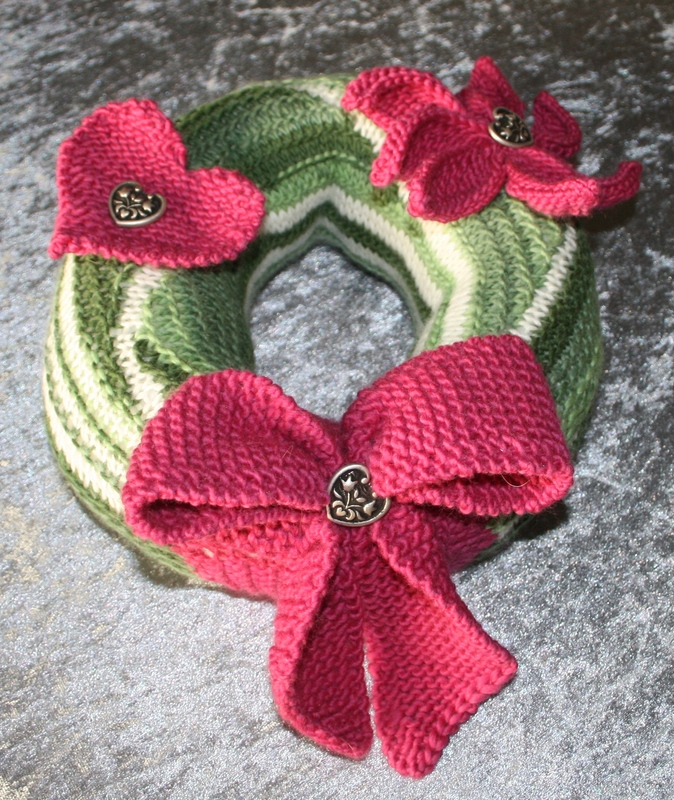 The Swingy Xmas is a fast and easy project and can be used as a door wreath or put into a basket with candles and serve as Advent wreath – so everyone can see how super Swing-Knitting™ looks! You can do the Swingy Xmas after having finished Workshops 1 and 2 – we use safety pin as markers for the short rows but there is no pin interaction, so you needn’t know Workshop 3 (yet). Swingy Xmas is a Photo Tutorial that shows the making of the wreath step by step – on 32 pages with 53 color photos you can see the whole process from casting on over Swing-Knitting™ to completing the wreath and the three decorations. The workshop is available in German and English in my Ravelry online shop. Workshop 5 will probably go online in about 2 weeks – I have to knit the complete shawl again to go into the depth again and find the discrepancies in the pin positions after stanza 50. The theory part is already half complete, so there is still hope to get ready soon …. Have fun and a wonderful Christmas time!